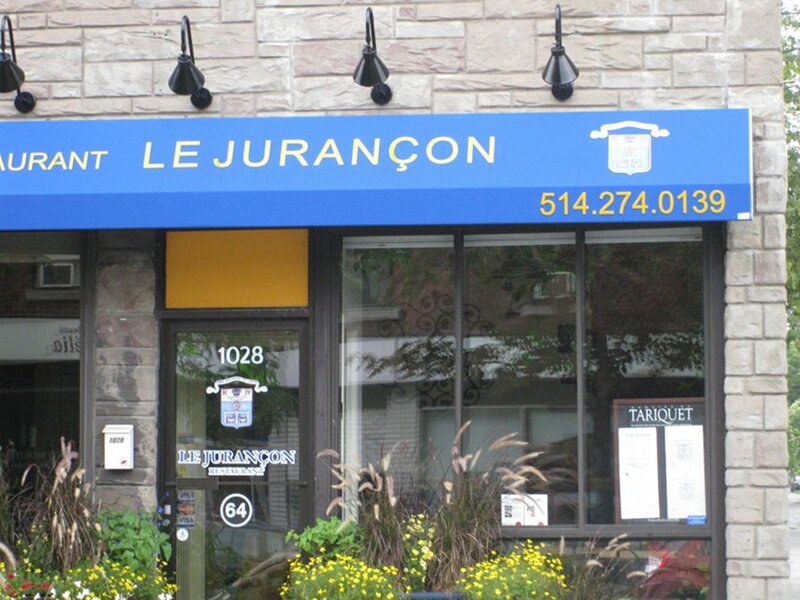 When you walk into Le Jurancon you notice right away that this place is cozy and with less that 20 seats, it can fill up fast. Needless to say, reservations are almost necessary for this Sunday-only brunch. The décor is nice and well lit thanks to some large windows lining the building. 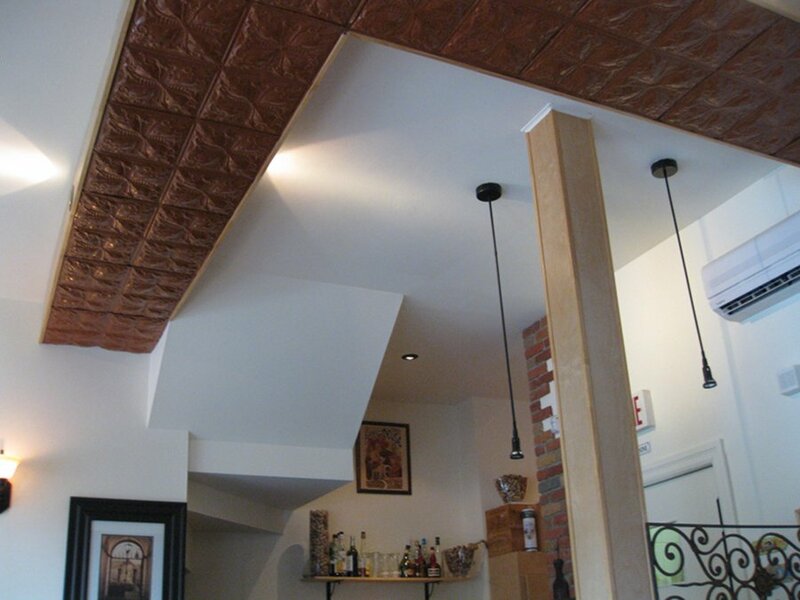 The interior feels light and open with white walls, a small splash of brick in the corner and light wood accents. The menu is inspired from Marsseille as the chef is from there. My friend, had the Quebecois ($8.25), naturally, which is two eggs, Toulouse sausage or bacon, potatoes with grilled baguette bread. The sausage (we did not opt for the bacon in this dish) was quite plump and juicy. It is more of a true sausage than one of those teeny tiny breakfast sausages other places try to pass as a meat side. The potatoes were also thinly sliced and nicely spiced. There was a side of salad and if you know me, I am usually not a fan, but it worked well with this dish. 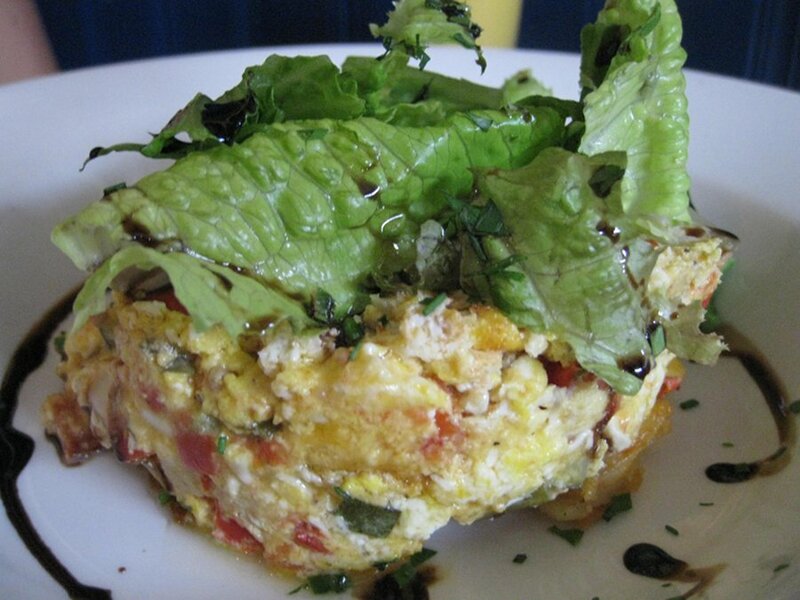 I should note this is probably one of the few times you will see me speaking in praise of salad on a breakfast dish. In this case, it worked because the taste is exquisite. The Nordique ($12) is comprised of two eggs Benedict with smoked salmon, a side of potatoes and salad. The hollandaise sauce was wonderfully done and is an excellent consistency: not too runny and not too pasty. 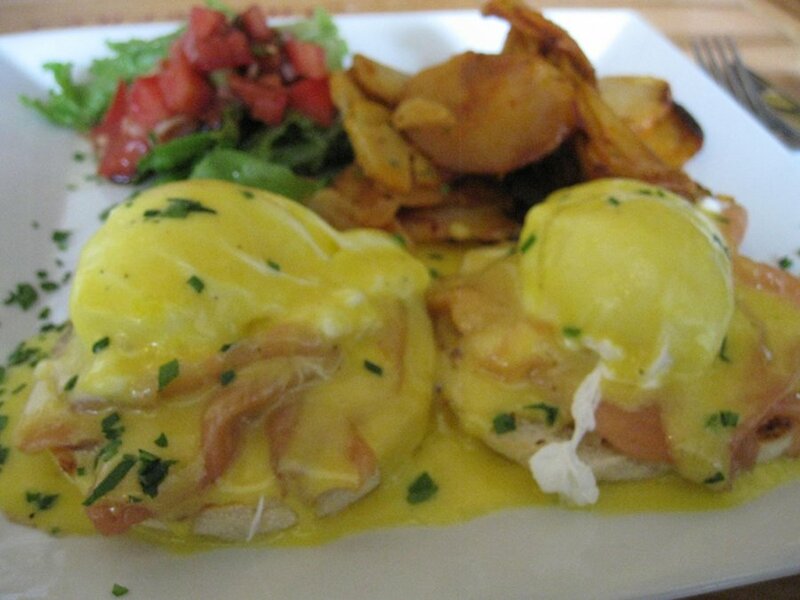 The smoked salmon portion in this dish is extremely generous which is a nice thing to get in an eggs Benedict dish. This and the fact you get free coffee all for $12 is an excellent deal especially since usually you have to pay $2 more for the same dish elsewhere and you don’t even get coffee included, not to mentioned, it’s often not that tasty. We had to go with the chef inspired dish, the Marseillais ($10.75) which is a wonder of a dish consisting of 3 eggs scrambled, with goat cheese, vegetables, and potatoes on the side. This dish was not only unique, in that I have never had anything quite like this, but its taste made it the clear winner among all the other dishes and next time I go I will definitely have that dish again. The Marseillais delivered on taste presentation and it was filling. There really aren’t too many vegetarian dishes. You can basically get 3 options. There are some smoked salmon dishes if you are a pesco vegetarian. Le Jurancon did not disappoint. It took a French food inspiration and successfully applied it to brunch. This brunch menu is not your normal bacon and eggs menu but rather a more refined French inspired food selection with some hearty items like the sausage and blood pudding. The place is small and reservations will make your life easier. I truly enjoyed it and welcomed this breath of fresh air into the brunch scene. 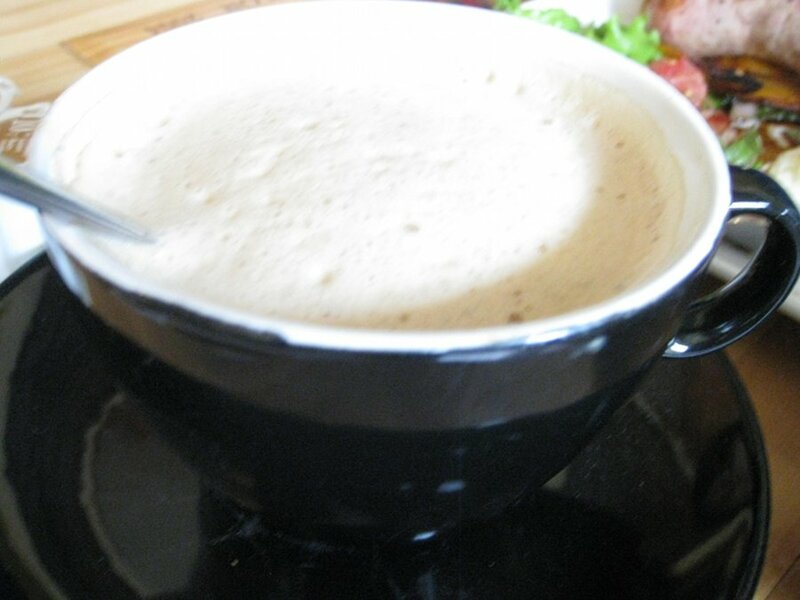 I was also very impressed on how the prices were all in the $8-$10 in most instances and included free coffee as well which makes this place a really good deal! anyway. great place loved the brunch ! Ok, France is a lot less large, but the difference are kind of important if you’re a foodist or from there. In the south east, it’s all about olives and lavande and herbs… and ok, it’s great too, but totally a different cuisine.